Every business has its own way of handling product data. While being unique is important in individualization, this prevents effective collaboration and information sharing. PLM SME (Subject Matter Expert) Tom Nelson led our GoSaaS Webinar on 2/28, describing how the cloud fits into your PLM strategy and processes. Through the Oracle PLM Cloud, you can unify the entirety of your product and supply chain processes on one integrated platform – from ideation to commercialization. The benefits are numerous, including a reduction of costs from prototyping and scrapping, centralizing data, improvement on internal and external collaboration throughout the entire product lifecycle and an entire process automation leading to a faster time to market/launching. Topics: "Oracle", "PLM", "Agile", "Product Data Hub", "PDH", "PD", "Cloud", "Oracle Product Development Cloud", "GoSaaS"
Just like any other mature and modern technology, Salesforce has the similar application lifecycle management process for managing an application’s development, from design to final release, and establishing a framework for managing changes. 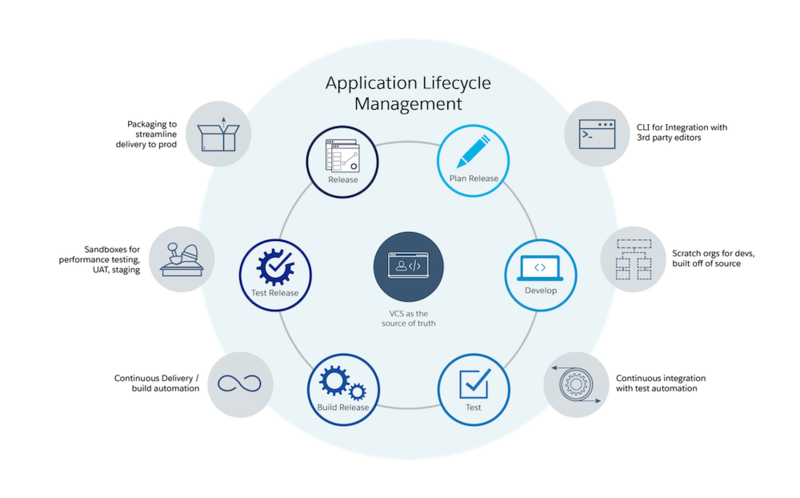 The lifecycle typically begins with the addition of a new feature to an existing application or a request for a change. A plan is then developed to create that new feature or customization, and the new feature or customization gets designed and tested. Finally, it’s placed into the production environment for consumption by end users. The cycle repeats for every new feature or customization. We hope you are just as excited as we are to attend the Modern Business Experience (MBX) in Las Vegas. If you’re reading this, you know how much PLM is important, strategic, and crucial to your business. Not only that, but also to the financial performance of your company. In last post, we saw how portals can be useful for retailers. Now, let’s look at the at least five areas you should focus to design a portal which is both effective as well as usable by the user community. Every Portal has a target user community. Understanding the needs of this community is prerequisite to design phase. User community should be segmented based on their specific roles and needs. User Persona are a powerful tool to create profile for each type of the user. Based on that you will better understand target users of the portal. e.g. for a Store Portal, Sales associates and field management will be two different user categories having unique needs based on their specific role. Similarly if a significant numbers of users are traveling, then portal should provide great mobile experience as well. Content contributors is another user category which have very different needs from consumers. As a designer, you should be very close to your users and empathize with their needs. Content is like blood for any portal solution. Each type of content should be categorized according to its business purpose, update frequency, intended audience, owners, security, required metadata, and structure. Once you have profiled your content, you can create information architecture. Each type of content should be created in the format which is best suited for its purpose. e.g. Some content may be more effective in text format while some other content may be more effective in audio or video format. With adoption of the mobile devices, user experience (UX) has become top priority thing. Smart phones and tablets have raised the bar for UX designers. Now enterprise application users expect consumer level UX in the enterprise systems. Finding content in portal should be super easy. Search should have easy to use filters and content previews so that users can find required information in few clicks. Since portals are meant to aggregate capabilities/information from multiple systems, portal should use SSO and provide smooth transitions between various modules and hence should provide consistent experiences. Social capabilities are becoming norm in business systems. Personalized, context-sensitive social features help users to collaborate, communicate and engage. Having generic and open-ended groups or communities without a common purpose cannot engage its members. In business systems like portal, you should identify specific opportunities where social capabilities can add value. Portal provides a perfect platform for users where they can find all information they need, perform their specific jobs and engage with people who share same purpose. Portal must be rolled out to test users before releasing it for everybody in the enterprise. There should be built-in mechanism to collect feedback from users. Based on the feedback, portal design should be refined. Typically portal platforms have built-in capabilities to provide basic analytics about what users are looking for. Based on that you can find out what is working and what is not working. Key thing is not to stick with initial design, If needed, you should refine it based on what is working with user community. After all, portal is intended to make life easier for end users. There must be other areas one must focus depending upon the unique context. Please share your experiences what else can add value in a designing a portal. Why do you even need to migrate to Lightning? WEBINAR REPLAY: Should You Upgrade to Agile 9.3.6 or Go Directly to Cloud PLM? 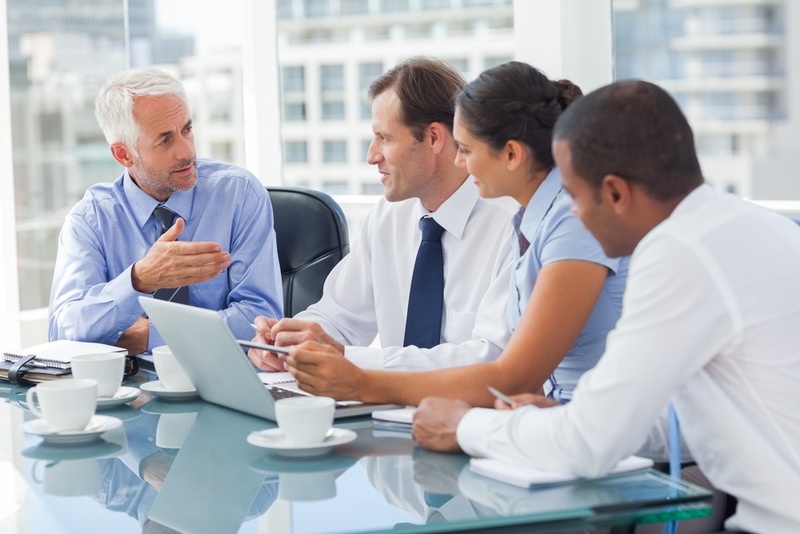 Are you thinking about upgrading your Agile PLM? Should you upgrade to Agile 9.3.6, wait or upgrade to Cloud R13? Get up-to-date actionable information and insider tips about Oracle Agile PLM 9.3.6 as well as Oracle PLM Cloud R13. What are you waiting for? The next generation deployment of PLM isn’t as “scary” as it may seem with GoSaaS as your consulting partner. Is your business up to speed with the next generation of Oracle Product Lifecycle Management (PLM) offerings? Join GoSaaS PLM implementation expert Tom Nelson who will describe how the cloud will fit into your PLM strategy and processes.